The Conservative government has voted to limit the last debate on a massive piece of legislation to put in place the 2012 federal budget. The 440-page budget implementation bill that would make changes to 60 laws is scheduled to have its final vote in the House on Tuesday. It will then to go the Senate for debate and committee study. Voting on the opposition's proposed changes to the bill could start as early as 12:30 p.m. ET on Tuesday and run for eight or nine hours. But the government's unwillingness to listen to opposition MPs will lead to bad laws that need to be fixed later, three NDP MPs said today. 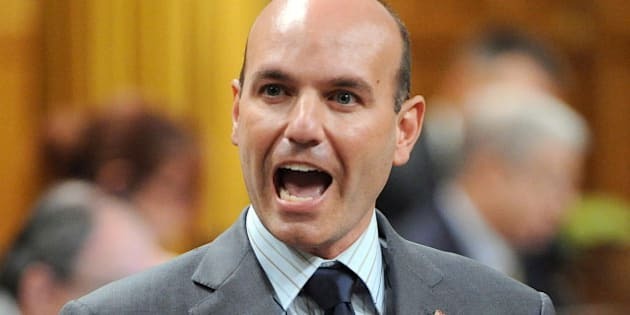 NDP House Leader Nathan Cullen, whip Nycole Turmel and finance critic Peggy Nash say the committees that studied the bill, including the finance committee, didn't have enough time to properly go through it. The Conservatives haven't allowed so much as a punctuation mark to change in the 900 pages of budget implementation legislation they've tabled in two separate bills since last spring, Cullen pointed out. One of the bill's measures that has drawn the most attention is a set of changes to the Navigable Waters Protection Act, which currently applies to 40,000 lakes and 2.5 million rivers. The government's budget implementation bill would limit that to 97 lakes and 62 rivers. The government says waterways will still be protected under other laws. Cullen says the party is making a last-ditch attempt to protect Canada's lakes and rivers by tabling a motion to protect them as currently described in the Navigable Waters Protection Act. Finance Minister Jim Flaherty urged the opposition Monday to pass the bill quickly. "The initiatives that are in the budget are vital to keeping Canada's economy growing," he said outside the House of Commons. The Conservatives' unwillingness to listen to the opposition, Cullen says, will lead to bad laws and money wasted on having to undo mistakes. "This is arrogance bordering on stupidity," Cullen said outside the House of Commons on Monday. Nash says there was "no time to call witnesses, no time or resources to study this bill in-depth and this is not the kind of oversight that Canadians have a right to expect." "The only changes that the Conservatives seem to adopt are changes that they make to their own legislation," she said. "They had to go back and correct changes that they made this spring in their [first budget implementation act]." Last week, House Speaker Andrew Scheer bundled together some of the proposed amendments so MPs would have fewer votes to cast. He dismissed more than 1,000 other proposed changes. His ruling means up to 47 votes, which are expected to take seven or eight hours. Liberal MP Scott Brison had prepared nearly 4,000 amendments to propose for the bill, but Conservative and New Democrat MPs on the finance committee that studied C-45 limited the time for debate on each clause, meaning few of the amendments were actually discussed. Conservative and New Democrat MPs also voted to overrule the chair of the committee on his interpretation of a procedural motion. All the proposed amendments were voted on, whether or not they were debated, meaning the committee sat for 2½ days to get through them. But that means they can't be tabled in the House of Commons because they have already been voted down. "The NDP can't have it both ways. They can't attack the Conservatives for implementing closure and at the same time vote for it," Brison told CBC News last Thursday. Nash says the party took the amendments at finance committee seriously, but suggested a long filibuster isn't necessarily the way to fight the bill. "We presented a strong opposition. We will have, as I said, a number of amendments that'll be coming forward that we'll be voting on in the House. There are many tools in our toolbox. We don't necessarily have to use the same ones each time."